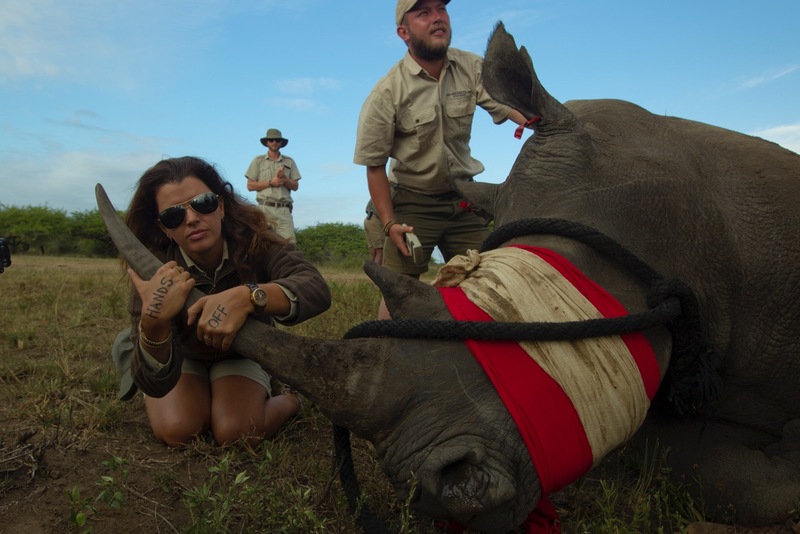 Donate on my behalf to " Our Horn is not Medicine"
Lee-Anne is a field ranger based at Ngala Tented Camp, a private concession within the Kruger National Park in South Africa, and has been working for AndBeyond Safaris for the last seven and a half years. After a handful of encounters with poached rhinos, Lee-Anne had a need to take action and educate the world about the slaughter that was taking place. The entire team of Ngala rangers are now involved in the campaign and they help bring much needed attention to the subject. Since this campaign is run by a group of rangers, they have plenty of time to talk to guests from all over the world about threat that our rhinos face. Once a person has visited this beautiful country and seen their first rhino, they immediately become attached to the well-being of these animals. So much awareness and funding has been raised by these visitors. The campaign has also taken to surrounding communities to educate school children on wildlife and what is happening, so that the children will have knowledge of their wildlife, heritage and conservation as a whole. To educate the people living in the surrounding areas is very important in seeing longevity in our parks. The Kruger National park employs about 60 000 people (excluding the private reserves). In turn those 60 000 support around 600 000 people. If the animals do not remain here, the people of this "low veld" area will loose their livelihood. This proactive approach is the most important to the campaign.